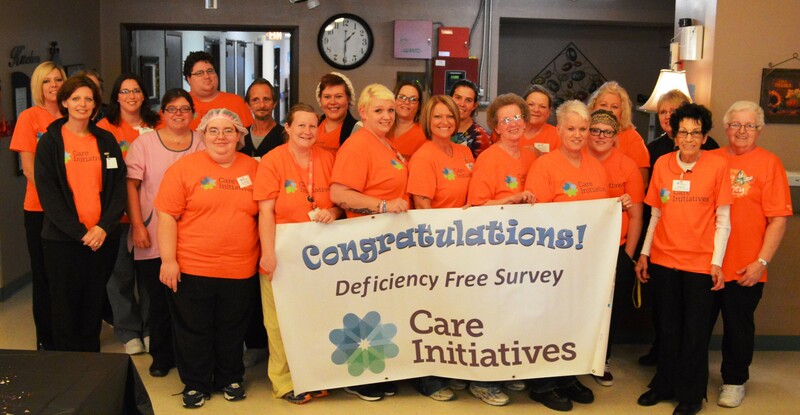 Valley View Nursing and Rehab Center has received a “Deficiency Free” result on its annual survey in July by the Iowa Department of Inspections and Appeals. “It is our hope that earning this title will give our residents, families and community a sense of security and pride in what we offer at Valley View,” Eichmeier added. Valley View Nursing and Rehab Center (NRC) is a non-profit 72-bed skilled nursing facility certified by Medicare and Medicaid. Valley View NRC has a dedicated area for short-term patients in need of rehabilitation treatments before returning home. Outpatient physical, occupational and speech therapy is also available. Congratulations to the exceptional staff providing care for the residents and patients at Valley View. To inquire about the services offered at Valley View or to learn about the admissions process, call 641- 858-5422 or email seichmeier@careinitiatives.org. Valley View NRC is owned and operated by Care Initiatives, Iowa’s largest not-for-profit senior care provider. Certified by Medicare and Medicaid, Care Initiatives includes nursing homes, assisted livings and senior living facilities in 56 locations throughout the state, and offers a separate not-for-profit Care Initiatives Hospice service throughout 63 counties in Iowa. Care Initiatives strives to provide Iowans with the best skilled care along with physical, occupational and speech therapy services.